Made in the USA, recyclable & BPA free, these custom tumblers with straws are a welcome addition to any indoor or outdoor event. Price includes a full color imprint. Our printed tumblers with straws are sure to be a hit at any of your next events. Are these tumblers durable and hard plastic? BEST ANSWER: These are a hard durable plastic. The cup can be reused but the imprint is not guaranteed to stay on due to abrasive soaps or high temperature dishwashers. 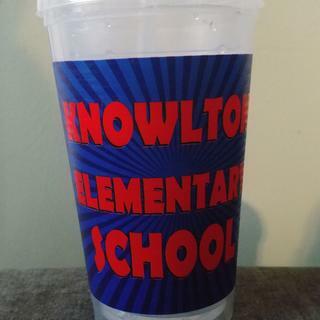 The tumblers were bought for Teachers Appreciation week for a gift for teachers. The print and emblem we chose came out great and the quality of cup was durable. The price was good and the the service was helpful. Shipping was pricey. We love Teachers! 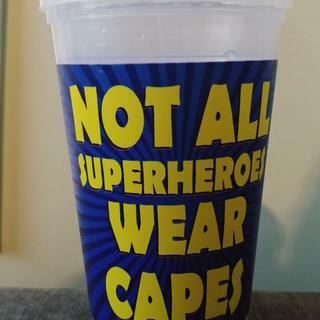 Thank you for choosing PrintGlobe for your thoughtful Double Wall Tumbler gifts, we love your design and your message! Indeed our teachers are real Superheroes!